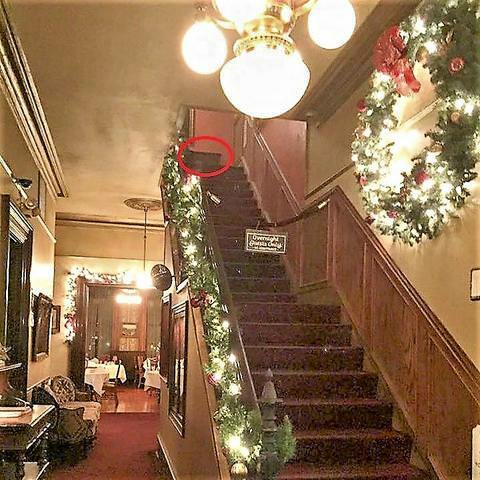 Lemp Mansion has had a tragic history, and many believe it is extremely haunted by the ghosts of the family who died there. The haunted home was built in the 1860s in St. Louis, Missouri. The following ghost picture sent to us by Carin Les of Go Dark! MPR is the second phenomenal ghost picture they have captured within its walls. 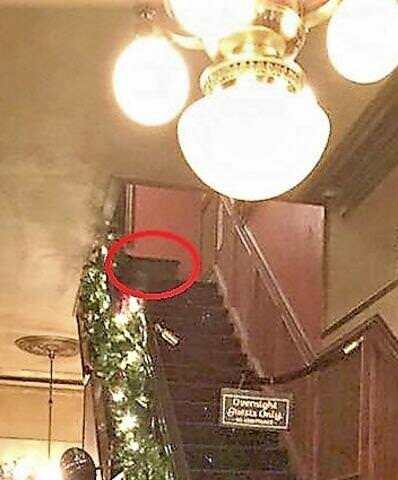 The believe the ghost descending the stairs to possibly be Lillian Lemp. Wow. This is an interesting one. I used to work right next door to this place! It's super creepy. I've read its a very active place. Wow, very creepy. More than that, what is it at the top of the stairs? It almost looks like bunched up carpet but that would be a very strange thing to do. The carpet picture does look very creepy!! I believe it's a piece of furniture you're seeing. It just looks strange because the angle is different. Edited by MacCionoadha BeanSidhe, 19 October 2018 - 11:47 PM.